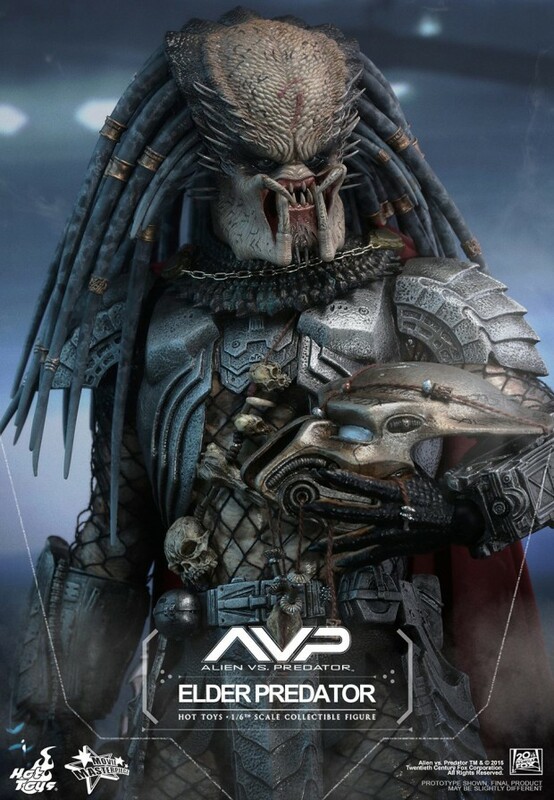 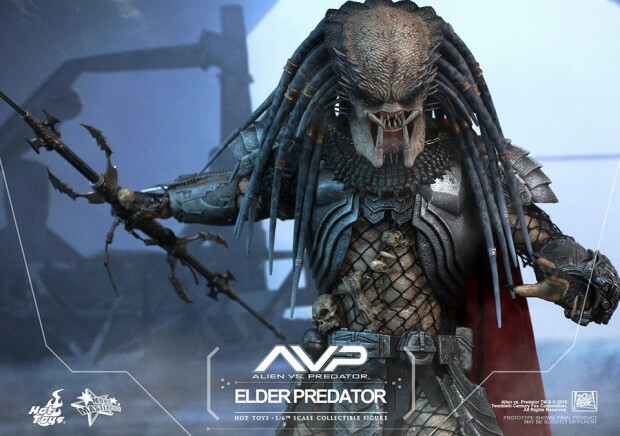 The latest in Hot Toys’ long line of Predator action figures is actually a do over. 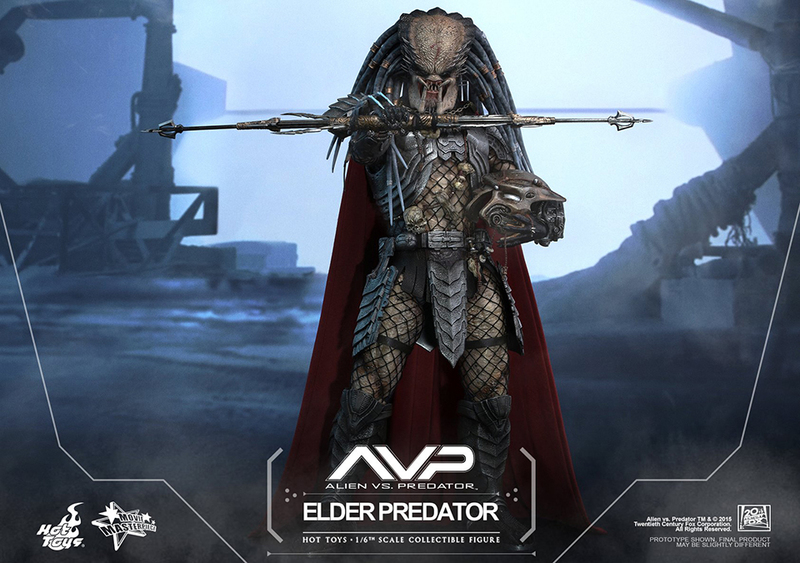 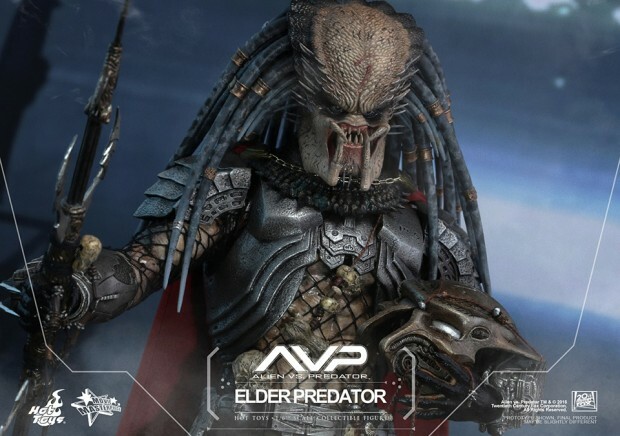 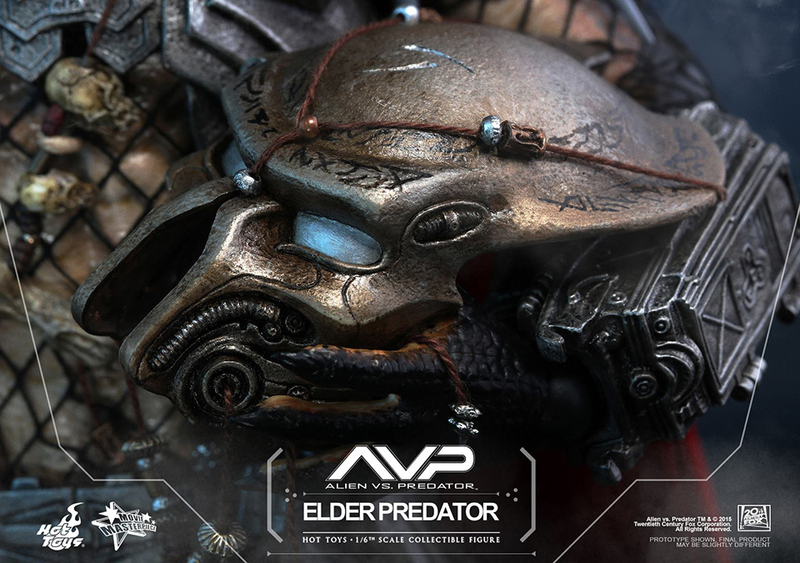 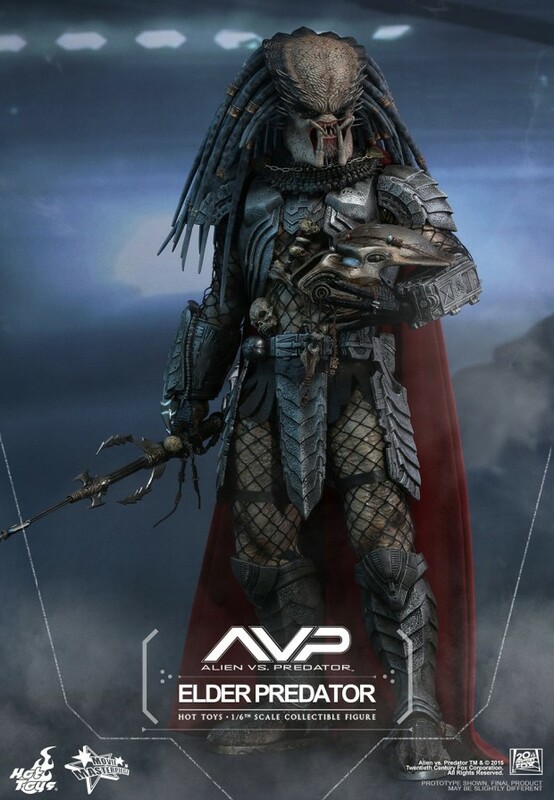 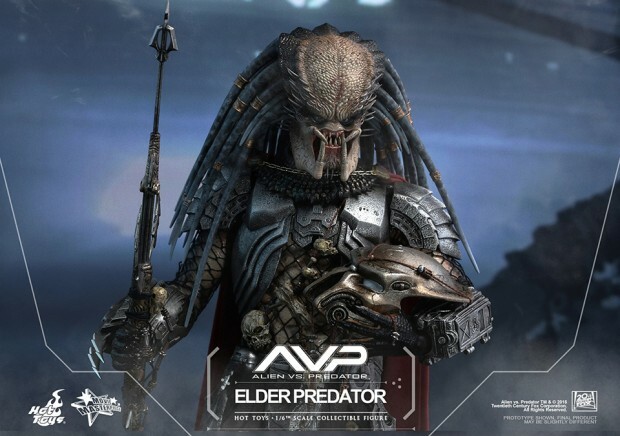 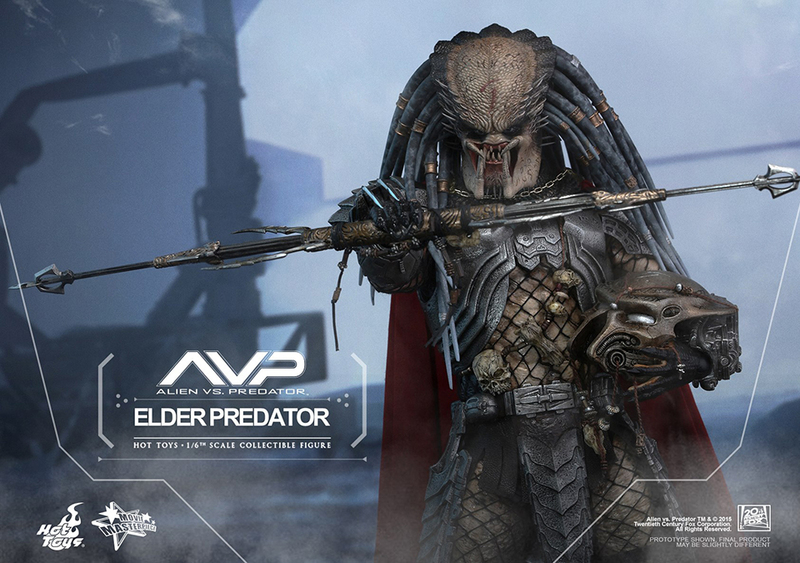 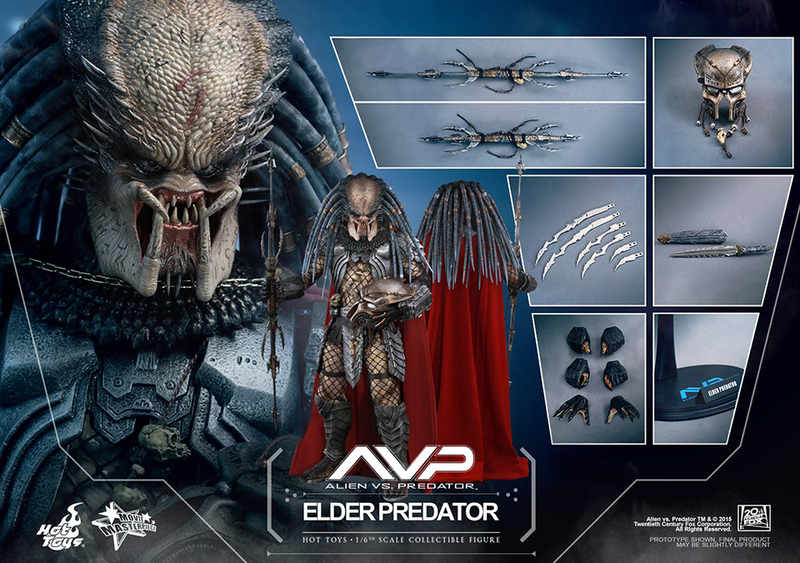 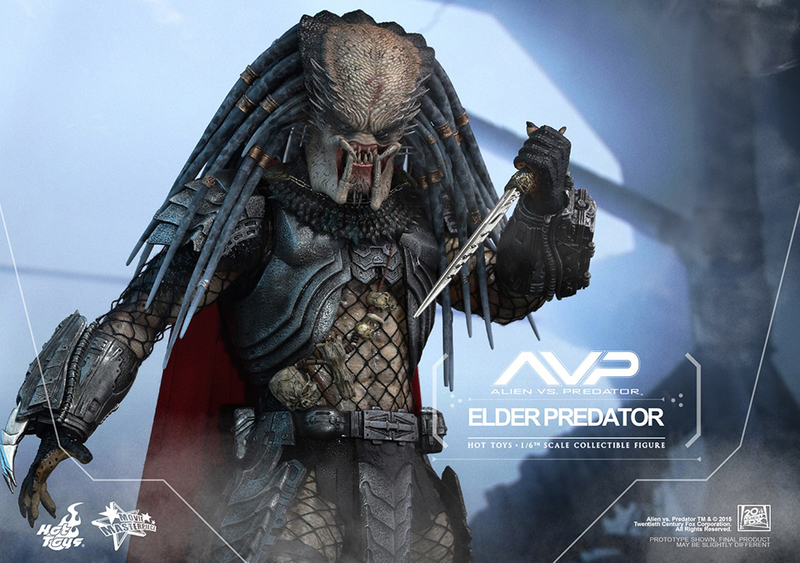 Arriving in Q3 2016, its updated take on the Elder Predator from Alien vs. Predator has new accessories such as his trademark red cape. 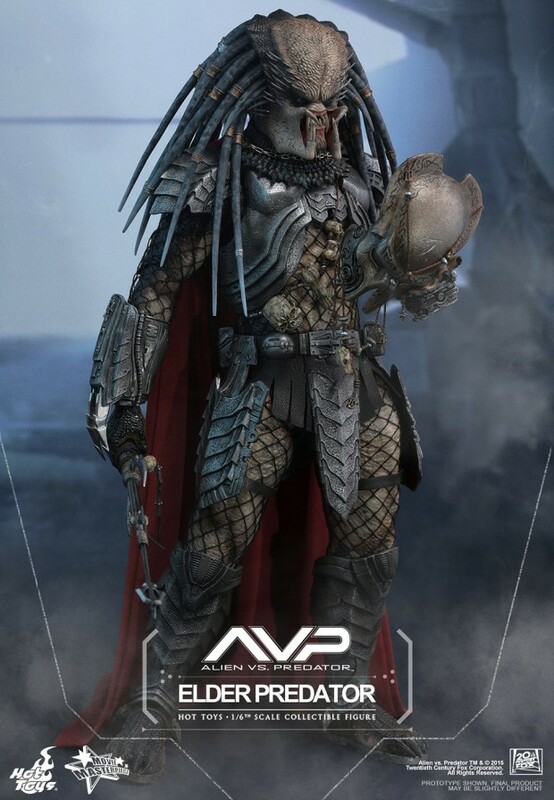 It also has a brand new head sculpt, though some fans are not pleased with its proportions. 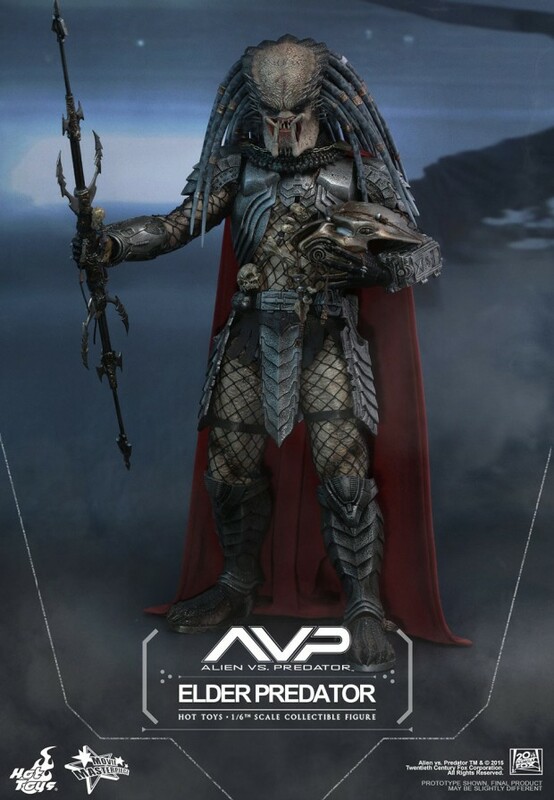 The action figure has 20 points of articulations, three pairs of hands, a non-wearable face mask, a Combi-Stick, a sword with sheath, three pairs of blades, a skull necklace and various pieces of armor.